Hampton Inn NYC - JFK Make your day hotel stay enjoyable and comfortable by booking your day stay at Hampton Inn NYC - JFK. 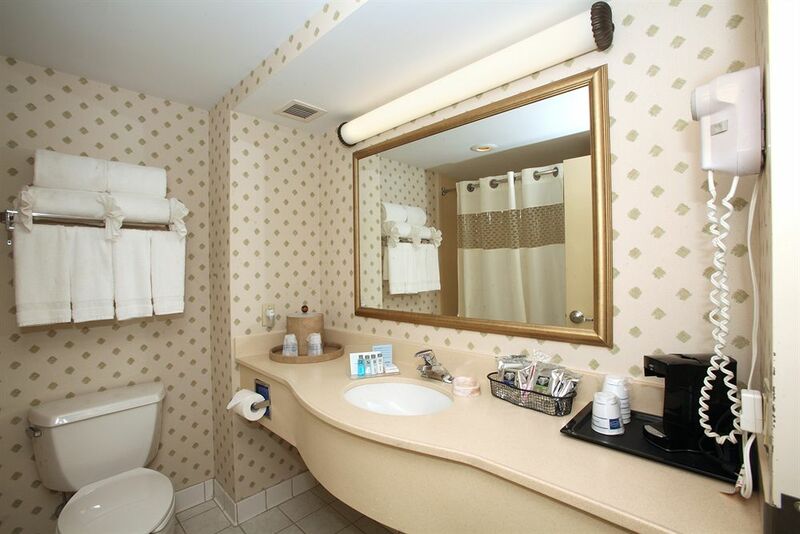 The Hampton Inn at JFK International Airport is the perfect place to relax in comfort during a long layover. For travelers that want to get in and out of the city, the hotel is in a prime location to drop your luggage, change and freshen up between your flight and a meeting downtown. 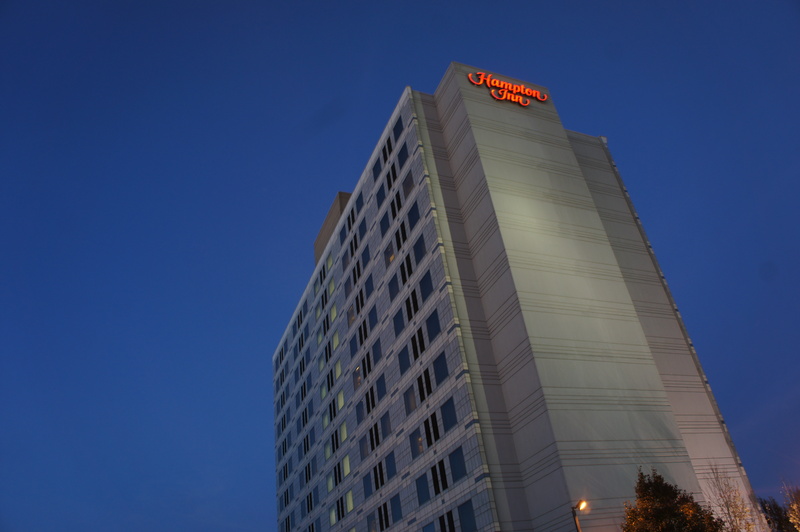 Escape the crowds and enjoy the services and amenities of the Hampton Inn just 5 minutes away from JFK International Airport. 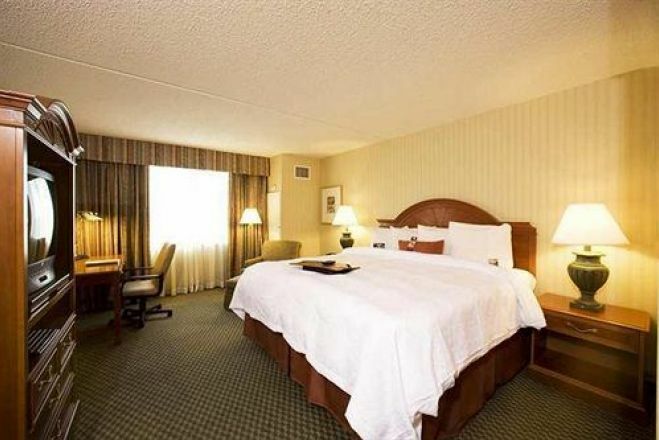 Book your day use room at the Hampton Inn today with HotelsByDay! 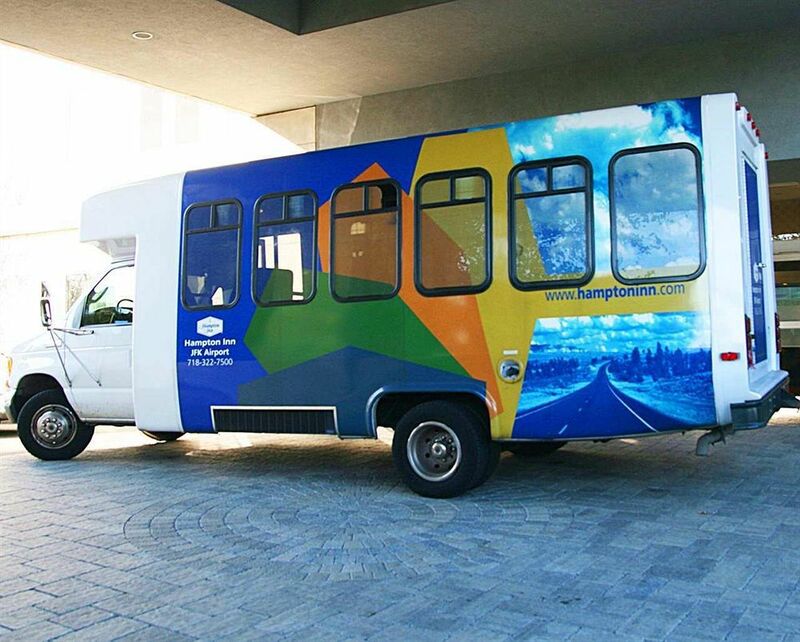 Airport Shuttle - The Hampton Inn offers a complimentary shuttle to and from JFK, making it easy for travelers to get in and out for a short stay. You can pick the Hotel shuttle from the 'Federal Circle' stop. The Shuttle runs every 30mnts from 4am to 2pm; and every hour from 2pm onwards. Aqueduct Racetrack - Located nearby, the Aqueduct Racetrack is a great spot to get in on the action and see world class horse races. With regular races scheduled all year long, there’s never a shortage of excitement at the Aqueduct. Resorts World Casino - Guests looking for something fun in the area can head to Resorts World Casino. With more than 2,200 games, the Resorts World Casino is one of the largest facilities of its kind in the New York City area, and features a number of fun dining and entertainment options. For anyone traveling through JFK International Airport, book your intra-day stay at the Hampton Inn JFK with Hotels By Day today! Parking Details - Parking is available at the hotel for $20 per day. 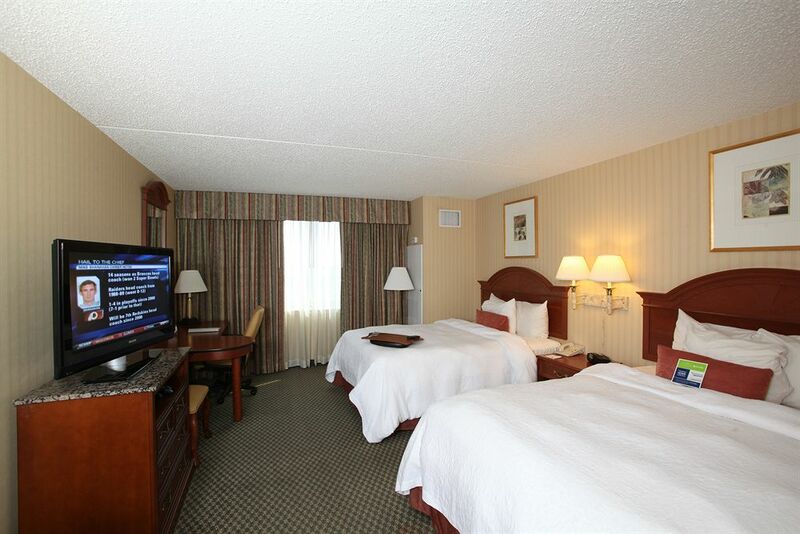 Comfortable Room Accommodations - The Hampton Inn offers complimentary wireless internet access in every room. With their signature fresh Hampton beds®, HD televisions, and large desk workspaces, guestrooms are great for rest and relaxation or quiet productivity. 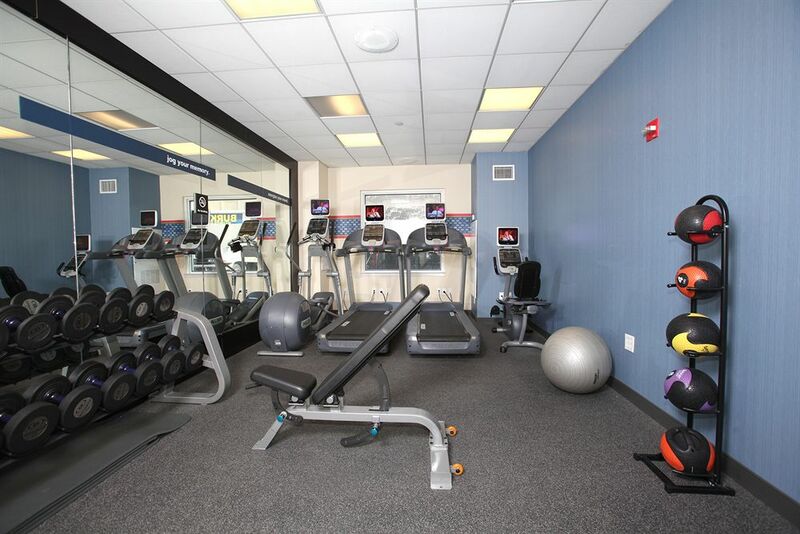 Hotel Amenities & Services - For guests looking to stick to their exercise regimen, the hotel has a fitness center. Need to pick up a tooth brush or a newspaper, the hotel has an on-site gift shop selling anything you may need. The multi-lingual staff is also happy to help out with laundry service upon request. 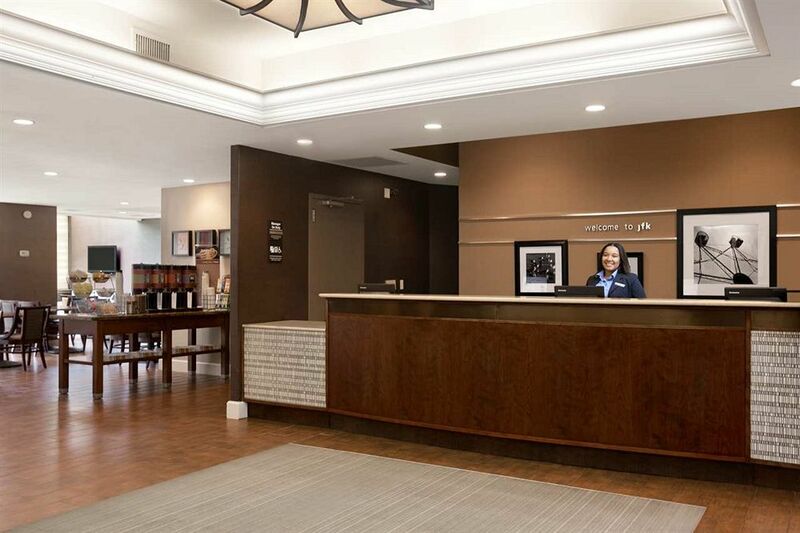 Good for Business Travelers - For business travelers, the Hampton Inn has a fully functional business center with express mail, photo copying, and fax service, as well as printers and audio/visual equipment available for rental. If you’re planning a meeting, there are also meeting rooms available to accommodate guests’ needs. Library & Bar - If you’d prefer to relax outside of your room, the hotel has a cozy Library off of the lobby for guests to enjoy. Warm up next to the fireplace or order a cocktail from the bar to unwind in comfort.